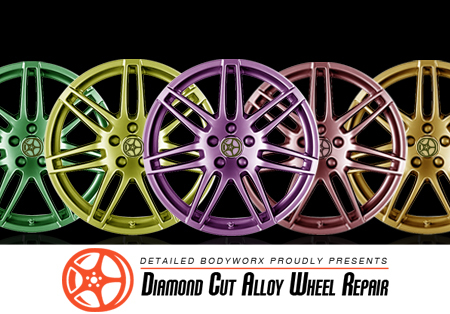 We are also able to provide colour changes on your alloys be it on diamond cut alloys or standard painted alloy wheels. Simply send pictures via the enquiry form of the current state of the alloys and let us know which colour you would like them changed to, or even just restoring to the original colour. We are able to do custom colours so please let us know which colours you prefer. All repairs done on the same day!